All self respecting families have a coat of arms. 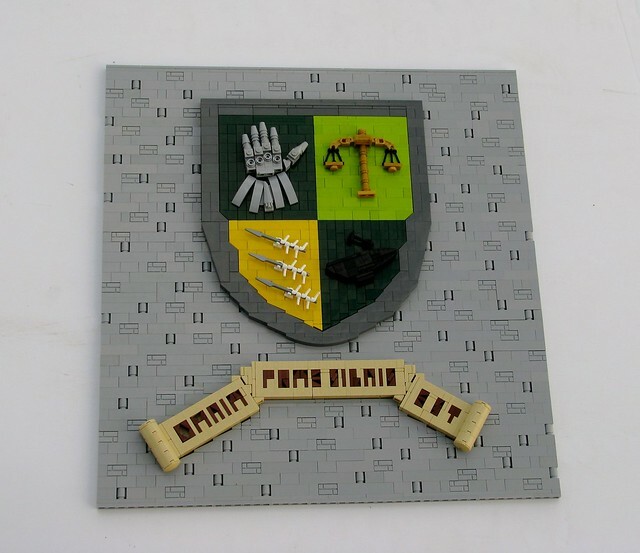 In this case it's the heraldry of Uridius Dratiphe by builder Robert4168/Garmadon. The gauntlet represents strength, the scales represent justice, the anvil (which is really hard to see) represents honor, the arrows represent readiness for war and the build represents mad skills with the bricks.